"Amber Sharp" (straight back and strong) WINE of LOVE: I had a revelation of the Trinity (seeing Jesus fasting) - required deep understanding - can't explain but saw Jesus fasting and the mystery of the trinity opened up confirming the reality of Communion. In COMMUNION I saw a fuzzy foggy look that became clearer and I saw Jesus embracing an endless crowd - hugging each one, one at a time. In the bread I remembered Jess wearing a crown of thorns. Then in the wine I had a revelation from the HolySpirit. He said, "He did this for you." I saw Jesus in the, the Good Shepherd, on a hill and His back was to me. He turned towards me and looked at me as if to comfort my trust in Him and i saw the words from the John Denver Song, "Follow me up and down all the way and all around"
​There were about 12 men who gathered that evening. CommnionFire was only about 7 months old. We started with a cover dish supper that evening and Pastor Tim was supportive of this tender new ministry. Joe T. and I were a bit excited and nervous because we hadn't really shared about our Communion meetings or encounters with Jesus publically before. Joe shared about what Camille and I were experiencing in our daily home Communions. The Pastor was humble, caring and supportive. He had a Church of God background and his wife, Deborah, had worked as an editor for Vinson Synan who, as a Pentacostal leader had written a book that surprisingly reached more Roman Catholics than other denominations during the Charismatic renewal of the 1970s. Camille and I had already visited a dozen pastors in the Grand Strand area of the South Carolina coast. We met with a broad range of denominations, independent and charismatic church leaders. Some were receptive but others just had what Camille called the "head tilt" response when we described "CommunionFire" to them and asked for their scholarship. It was a name the Lord gave us to use when describing what happened when we had daily Communion together in our living room. Pastor Tim was receptive and invited me to share on this particular evening. Joe is an energetic brother who has a love for Jesus. He and his wife and Camille and I had lunch together after visiting Seaside church with them for Sunday worship. At lunch Joe and Peggy both had very clear experiences when we had Communion together at the Steakhouse on the patio. So, at Joe's request, I went to the Seacoast Men's Gathering the next evening. He made the introductions during dinner and then to my surprise and delight, the Pastor said, "Gentlemen, we have a friend of Joe's here tonight who wants to share about something the Lord has begun doing in his life with his wife and with Joe and Peggy. After some introductions and an exercize we call the "Consider the Lillies" or "Flower" exercize, we shared Communion together. Pastor then announced, "Next October we must go to Israel and have Communion at the tomb of Jesus! Then in the wine, He said, " I saw Jesus. He had been beaten. 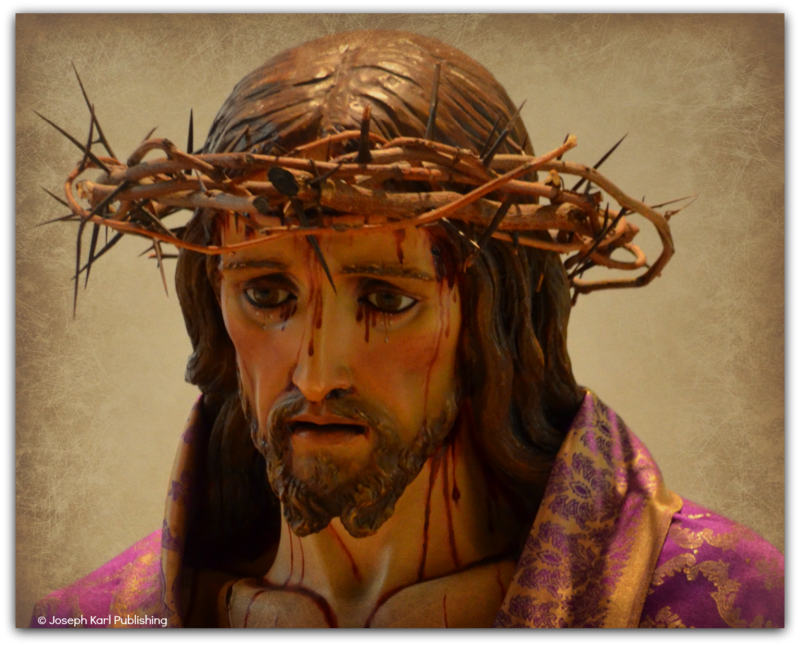 He had a crown of thorns placed on His head and I saw His blood dripping down." The Holy Spirit told him, "This was for you." By the time he finished sharing his eyes were red with tears. Pastor was the first to share and then one by one each of the men shared their experiences. Over the next 7 months the men's group was a regular host to sharing the Table of the Lord. One night, we had a foot-washing, Communion and shared CommunionFire encounters among 26 men. It was during this time that I started to keep a daily journal for Camille and I each day and whenever and wherever we shared about ComunionFire outside our home. 5 years later we have just begun the 21st CommunionFire Journal and have hand-written over 4,000 pages and almost a a quarter million words. As of this year I have begun sharing the CommunionFire ministry on The BeBoldBelieveNetwork GoLiveDaily CommunionFire on Facebook (Live every day) and then I transfer each production to You Tube. We have just completed our 200th GoLiveDaily program! We reach people all over the world and hope that CommunionFire is being ignited in the hearts, homes and house groups and churches all over the world. Please pray for us. We thank you for 5 years of sharing the warmth of the CommunionFire ignited in the presence of Jesus Christ at His Holy Table and made possible by His broken Body and pouured out blood! Thanks Seaside Community Church, Joe and Pastor Tim for supporting us in the early days!